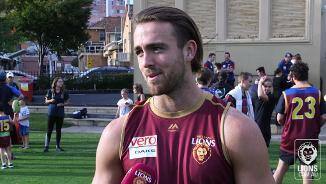 Mathieson discusses the team's potential ahead of opening round at the Gabba. Take a look at how Wooller, Lester, Mathieson and Starcevich performed in 2018. Ben Keays hosts a jam-packed episode of the Roar Deal featuring three special guests. 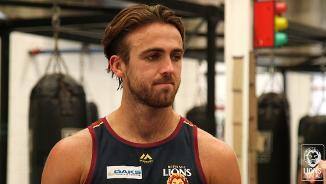 The Lions drafted midfielder Rhys Mathieson with pick #39 in the 2015 National Draft. 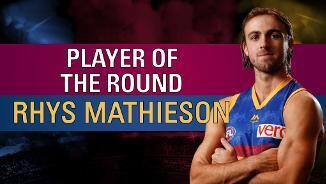 Recruited from the Geelong Falcons, Mathieson had an impressive first year for the Lions. He is known for his ability to win contested football, and in his first Season averaged 18.2 disposals a game. 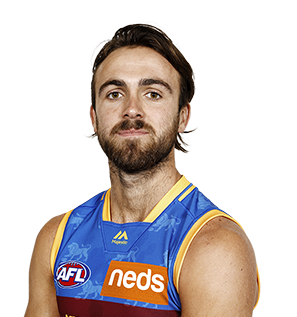 • Known to teammates and the Brisbane Lions faithful as “Beast Mode”, Rhys Mathieson quickly made a name for himself at the Club after being drafted with pick #39 in the 2015 National Draft. • His penchant for loving the contested ball was evident to see in just his first AFL game in round nine against Melbourne, as he won a game high six free kicks as reward for his aggressive attack on the ball. • The 185cm midfielder averaged 18.2 disposals a game in 2016 – 9th highest on the team – and found consistency toward the end of the year, playing in the final eight games of the season.